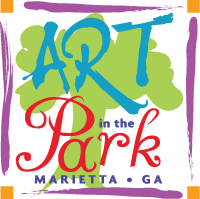 Located just 15 miles Northwest of Atlanta and just south of the North Georgia Mountains is the City of Marietta. Marietta serves as the county seat for Cobb County Georgia and is easily accessible via Interstate 75 and US Highway 41. For Parking, Downtown Marietta Parking Map. The Cobb County Parking Decks do charge a nominal fee. At the next light, turn left onto Lemon St and right onto Waddell St. Free parking is in the next block.